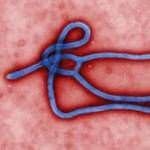 Ebola is a disease caused by an ebolavirus. Symptoms start two days to three weeks after contracting the virus, with a fever, sore throat, muscle pain and headaches. Vomiting, diarrhea and rash follow, along with decreased function of the liver and kidneys. Victims bleed both within the body and externally. From 1976 through 2013, the World Health Organization reported a total of 1,716 cases. In 2013 an outbreak started in Guinea, spreading to neighboring African countries and infectied doctors, some of who were transported back to the US for treatment. The virus continues to claim victims as it spreads to more countries. My fear is, the whole Ebola situation, it can get anywhere. It got from Liberia to Texas. It’s traveling quick. It could be in one of those planes. A letter from Frontier Airlines CEO David Siegel to employees states that Frontier was notified by the CDC that Vinson may have been symptomatic earlier than initially suspected, including the possibility of possessing symptoms while onboard the flight. Since we were notified by the CDC, we’ve proactively placed six crew members (two pilots; four flight attendants) on paid leave for 21 days out of an abundance of caution as the safety and security of our employees is our number one priority. This was over and above CDC guidance that stated that our flight crews were safe to fly. We have also been working in close cooperation with our unions and appreciate their support on this issue. And we are working hard to reach and scale up to 1.3 million eventually. With what we’re doing and where we’re staying, I think we’ll be OK.
A Fort Worth family is reported to be in quarantine for 21 days after a family member may have had contact with Vinson. A letter sent to parents in the Eagle Mountain-Saginaw Independent School District (full text here) says a family member of a Lake Pointe Elementary School student was on the flight from Cleveland. The district says the family member is in the military and is stationed at the Naval Air Station Joint Reserve Base in Fort Worth. Upon advisement from the military and as a precautionary measure, the family will be isolated for 21 days. This family has one child who attends Lake Pointe Elementary. The BBC launches a service for users of the messaging app in west Africa. It will provide audio, text message alerts and images to spread the latest public health information. Content will be limited to three items a day, and the service will be in English and French. It says users can subscribe by sending JOIN to +44 7702 348 651 and opt out by sending STOP to the same number. As soon as I got word on Facebook I came and got my (children). I don’t know about anybody else, but I am coming to get min. Dallas County Judge Clay Jenkins, who is overseeing the Ebola response, says the county Medical Director will sign a control order that will follow minimum guidelines outlined by the CDC blocking people being monitored for Ebola symptoms from using public transportation, including buses and airliners. He says workers weren’t instructed by Presbyterian or the CDC to stay away from the public during the 21-day monitoring period. No one told them, which is something that is profoundly disappointing to me, but this is something that we’ve got to fix quickly. We cannot have people on common carriers like DART trains, airplanes or buses who might get sick. 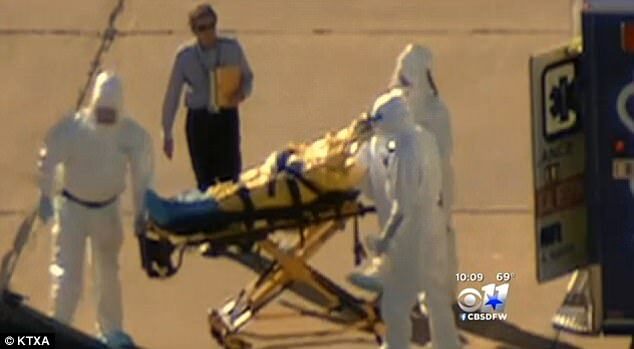 A person seen escorting Vinson onto her transfer flight to Emory University without hazmat gear is reported to be likely a CDC employee. Officials with AMR, the ambulance company that transported her from Texas Health Presbyterian Dallas to Dallas Love Field Airport, say that the man is not their employee. Emory also says that they do not know who the man is. CBS helicopter footage reports that the man appeared to leave with Vinson on the plane, indicating that he may be a CDC overseer. 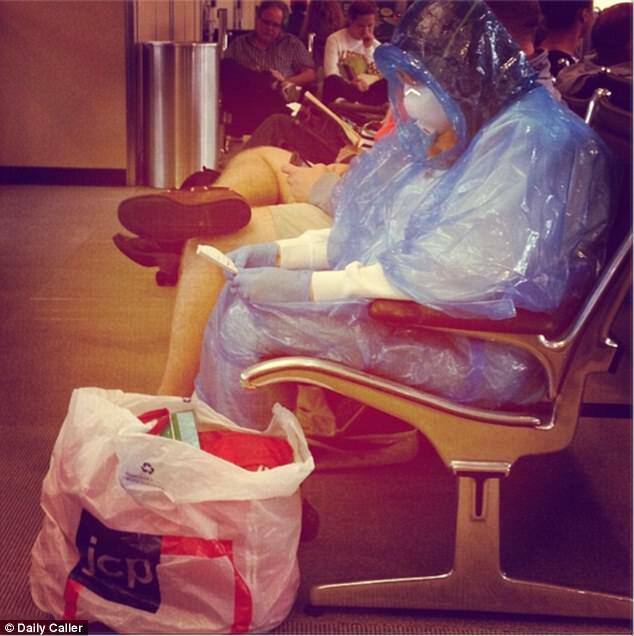 A photo shows an unidentified passenger at Washington Dulles wearing a hazmat suit while waiting for a flight. The transparent blue plastic suit does not cover her wrists. Unfortunately, in our initial treatment of Mr. Duncan, despite our best intentions and a highly skilled medical team, we made mistakes. We did not correctly diagnose his symptoms as those of Ebola. We are deeply sorry. Yes, I have been alongside other physicians and nurses in addressing this patient. I am under the same monitoring protocols which are currently recommended for my clinical colleagues who are in the same exposure category as mine. Pham appears in a YouTube video taken before she was transferred to the National Institutes of Health clinical center in Bethesda, Md. The video was made by the physician who was treating her, Dr. Gary Weinstein and released with Pham’s permission. Pham arrives at National Institutes of Health center in Bethesda, Maryland for treatment in a specialized isolation unit, with staff that specialize in infectious disease and critical care. The NIH facility has one of four isolation units in the nation. 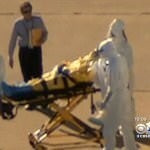 NIH says staff specializing in infectious disease and critical care will treat the 26-year-old nurse. Pham left the Dallas hospital in an ambulance about 6 p.m. as dozens of nurses cheered and waved signs bearing messages of affection and good wishes. She was taken to Dallas Love Field, where she boarded the same executive jet used to fly a co-worker to an Atlanta hospital on Wednesday. The jet took off shortly after 7 p.m. Hospital spokesman Wendell Watson said Pham’s transfer is necessary because numerous employees are being monitored for symptoms and aren’t available to work. Life in those districts – it’s like holding your breath: you can do it for a while, but you can’t do it for huge periods. It’s the most vulnerable that reach the sharp end first. A report says that Texas Health Presbyterian had a machine that the U.S. military is using to screen for the virus in west Africa, but was prevented by government guidelines from using it to screen Duncan. The toaster-sized box called Film Array, which retails for $39,000 and is produced by bioMérieux subsidiary BioFire, is capable of detecting Ebola with a high degree of confidence in under an hour. The FDA rules that it must be used only to screen patients for research purposes, not to treat patients. At no point in time has the individual exhibited any symptoms or signs of infection and it has been 19 days since she was in the lab with the testing samples. She is deemed by CDC to be very low risk. At this time, the guest remains in isolation on board the ship and is not deemed to be a risk to any guests or crew. It is important to reiterate that the individual has no symptoms and has been isolated in an extreme abundance of caution. We are in close contact with the CDC and at this time it has been determined that the appropriate course of action is to simply keep the guest in isolation on board. The government of Belize reassures the public that the passenger never set foot in Belize and while we remain in close contact with U.S. officials we have maintained the position that when even the smallest doubt remains, we will ensure the health and safety of the Belizean people. Out of an abundance of caution, all pedestrian and vehicular traffic was suspended around the South Parking lot, while Arlington County responded to the scene. The employee … may have had contact with clinical specimens collected from him. The individual was out of the country before being notified of CDC’s updated requirements for active monitoring. At the time the hospital employee left the country, CDC was requiring only self-monitoring. A doctor on the cruise ship has declared the woman symptom-free and in good health. She handled the fluid samples 19 days ago, and has two more days until passing the 21-day threshold for Ebola incubation. The ship is being held off the coast of Belize until she can be removed and returned to the U.S.
President Obama appoints Ron Klain as Ebola "czar"
Arlington and Fairfax hazmat and medical teams are sent to the Pentagon and pedestrian and vehicle traffic is shut down at the Pentagon Memorial, while a large area o the Pentagon south parking lot is sealed to the public after a woman was taken ill on a bus tour of the monument. The woman is reported to have recently arrived from Sierra Leone, and began vomiting during the tour. I’ve known Ron Klain for over twenty years. He is smart, aggressive, and levelheaded; exactly the qualities we need in a czar to steer our response to Ebola. He is an excellent choice. 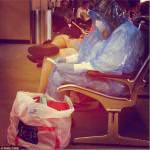 Worst ebola epidemic in world history and Pres. Obama puts a government bureaucrat with no healthcare experience in charge. Is he serious? 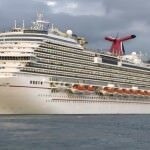 The Carnival Magic heads back to the U.S. after Mexican authorities declined to grant permission to dock off the Cozumel coast. 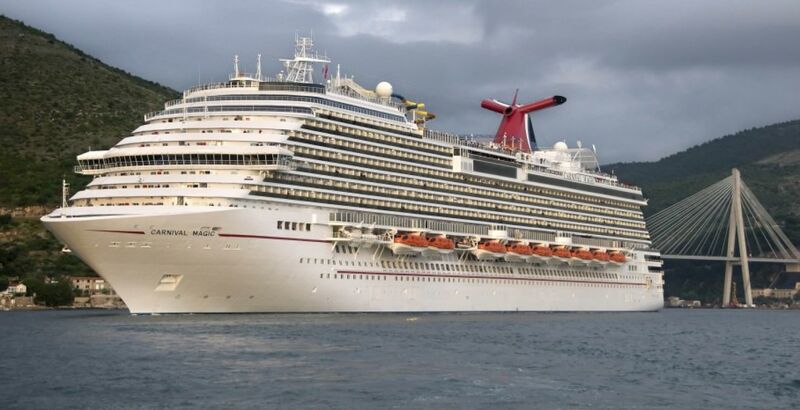 The ship is headed back to Galveston, Tx., after Mexican authorities failed to grant permission by midday, due to the presence onboard of the Texas Health Presbyterian lab worker. A report says that Klain was involved in President Obama’s decision to visit the solar power company in 2011 despite questions over its finances. As Ebola ‘czar,’ Klain will report to National Security Advisor Susan Rice and homeland security adviser Lisa Monaco, it says. Conservative group: Foreign patients may come to U.S.
Frontier is now seeking to contact 800 passengers who flew on plane number N220FR, an Airbus A320, after Vinson’s flight. The plane made five flights before the CDC informed the airline that she may have been contagious and it was removed from service, flying to Atlanta and Fort Lauderdale, then back to Cleveland. Passengers on the Oct. 10 Frontier Flight 1142 from Dallas/Fort Worth to Cleveland and passengers on Monday’s Flight 1143 from Cleveland to Dallas/Fort Worth have been asked to call the CDC and monitor themselves for symptoms. Crisis management is actually something Perry has done pretty well in the past. But, in this case when the national spotlight was on Texas, Perry was missing in action. And based on pure politics, this is a situation where he could have taken command and control and looked presidential. He’s trying to jump back on stage now, but at the very least, he missed the first act because he was in Europe. Of course, Gov. Perry should have canceled his trip or come back from Europe — just as President Obama should have gone to the border. As George H.W. Bush said, ‘90 percent of life is just showing up.’ Now, will that hurt Perry two years from now? No way. These are hometown health care heroes. They want to do this. They’re going to follow these agreements. It would take me anywhere from four to six weeks to train an employee to work in a high containment lab in a safe manner. It’s ludicrous to expect doctors and nurses to figure that out with a day’s worth of training. None of the science is new; none of the protection components are new. It’s just new in a health care setting. Hospitals and the C.D.C. should have been reaching out to the biosafety community before now, to try to adjust to this. It’s a disappointment to me. I’m pissed off and embarrassed and completely weirded out that a journalism institution that should be seeking out facts and details is basically pandering to hysteria. Travel agents in the U.S. say that individual customers have canceled trips due to concerns over Ebola, although the travel market remains mostly unaffected overall. Tim Husted, a traveler-services executive for Carlson Wagonlit Travel, says fewer than 1% of the company’s leisure travelers have changed a booking and there is even less of a reaction among business travelers, although a few have requested routes that avoid Dallas. Maryann Cook, a travel agent in New York, says a Florida doctor who booked a $197,000 family safari trip to South Africa for 30 people next year wants to rebook it for 2016, even if it means losing a $60,000 deposit. He didn’t feel a real urgency because South Africa is so far away from the problem spot, but he got a lot of stress from his children and his children’s children. New York travel agent Blake Fleetwood says a client who booked travel to India is worried about a stopover in London, where there could be a greater chance of exposure to travelers from west Africa. We’re hearing from everyone. Even people flying domestically are very nervous. I wouldn’t fly on Frontier Airlines. I know that’s a crazy thing to say, but I just wouldn’t want my mind to be bothered. I would take another airline. This administration, under the direction of the President, is pursuing a whole-of-government approach…it is the responsibility of Mr Klain to coordinate those efforts across agencies to make sure we are maximizing this whole-of-government approach. The president wanted someone who could working in a coordinating function…what we were looking for is not an Ebola expert but an implementation expert. They’re certainly welcome to do that. We describe him as the Ebola response coordinator. He is reporting to Rice and Monaco, but Pres. Obama remains in ultimate charge of the Ebola response. I’m sure there is no real danger of Ebola getting into [Russia]. The Better Business Bureau is warning that major websites are budding and posing as fundraisers and charities that help Ebola victims. For example, one website that has these possible scams is GoFundMe that claims to be taking donations for the nurse Amber Vinson, but the family is unable to verify the veracity of the specific fundraiser. Though GoFundMe is a legitimate crowd sourcing fund raising site, scam artists can use such sites to pose as a legitimate operation. The BBB shut down the specific sub site. However, there are as many as 100 such websites to claim funds for various Ebola campaigns, with the first set of scams showing up when Thomas Duncan made entrance to the US with infection. Even telephone scandals posing as well-known chapters are cropping up. People are scared. I’ve seen people crying. You’re using the same buffet line as someone else, the same waiters, the folks that clean the state rooms. If someone was cleaning their state room and cleaned yours right after, the exposure that you have there to elevators…it’s very tight quarters and a lot of interaction. It’s really difficult to control any type of virus that’s on a cruise ship. It’s like a floating petri dish. It spreads very rapidly. They’re cleaning elevators. I’ve seen people with pink liquid cleaning the bar area and the handrails. Medical staffing agency Angel Staffing Inc. is hiring people with basic EMT or paramedic training to assist Customs and Border Protection officers and the CDC in identifying possible victims at JFK’s Terminal 4 as part of heightened screening. EMTs will earn only st $19 an hour while paramedics will earn $29. Applicants must be registered with the National Registry of Emergency Medical Technicians. It is also selecting screeners to work at Washington Dulles, Newark Liberty, Chicago O’Hare, and Hartsfield-Jackson Atlanta. It tells you how ready for panic we can get ourselves. There’s a lot of anxiety and the answer to anxiety is information and training. AfriCom commander Gen. David Rodriguez says at a Pentagon briefing that troops with the division, known for its role on D-Day and fighting the Iraq War under Gen. Petraeus, will only need gloves and masks. They don’t need the whole suit – as such – because they’re not going to be in contact with any of the people. Rodriguez says the 101st Airborne will primarily be building hospitals, ultimately leading what could be a contingent of 4,000 American service members. They’ll be housed either in tent cities at military airfields or in Liberian Ministry of Defense facilities. Their health will be monitored through surveys and taking their temperature on their way in and out of camps. If a service member does get sick, they will be flown home immediately for treatment. Regular debarkation will take place. The lab worker continues to show no symptoms. We cannot allow Ebola to immobilise us in fear, but… countries that have failed to commit troops, doctors and enough funding are in danger of costing lives. I don’t think the directions provided to people at first were as clear as they needed to be, and there have been changes in the instructions given to people over time. At this time, we have no information to suggest that this staff member has been in contact with anyone who has been exposed to Ebola. However, the district and the staff member understand the parents’ concerns. Therefore, after several discussions with the staff member, out of an abundance of caution, this staff member has been placed on a paid leave of absence for up to 21 days. What the parents were saying last night is that, you sent (this teacher) to a potentially harmful area for exposure, and then to come back and jump into the classroom on Monday seemed a little bit reckless. I’m really tired of people telling everyone, on the news, starting at the national level, ‘zero risk, low risk.’ The bottom line is that there is risk.